The 4.5G network has been rolled out in 10 cities and the 4G network reaches more than 98% of the population in over 7,000 towns, including more than 1,500 with access to 4G+. Fibre services are on offer in more than 1,200 Italian cities, including 13 with speeds of up to 1 Gbps thanks to the partnership with Open Fiber. During the first half of 2017, Vodafone rolled out its Narrow Band Internet of Things (NB-IoT) throughout Italy, as part of a plan to invest over €10 million, and recently announced that the technology will be available at all its 4G sites by September 2018. 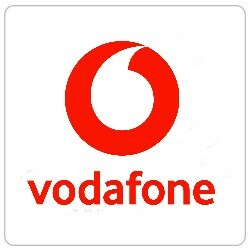 Vodafone has recently launched a vast international future jobs programme to help 10 million young people find work using the “Future Jobs Finder” platform (https://futurejobsfinder.vodafone.com/).